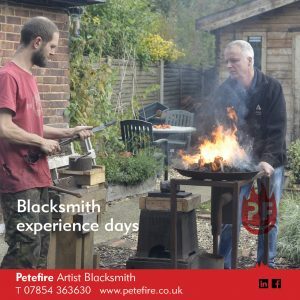 I’m a artist blacksmith, my office is in Abbots Langley, just north of Watford in Hertfordshire. 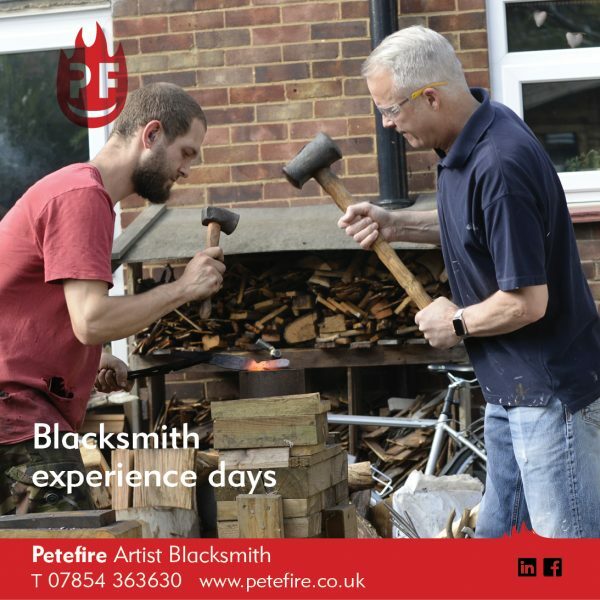 I mainly work in a forge in Bushey, just to the south of Watford, also in Hertfordshire. 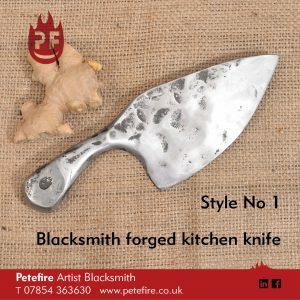 I will make anything that involves forged / hot metal, such as a kitchen knife, decorative sword or axe, commissioned work or bottle openers. 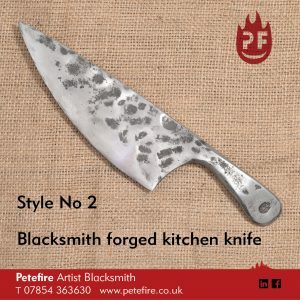 I make kitchen knives and chefs’ knives, often from recycled steel, such as reclaimed car springs, truck springs, files & fork lift tines. Here’s the questions page (FAQs) for my experience days. 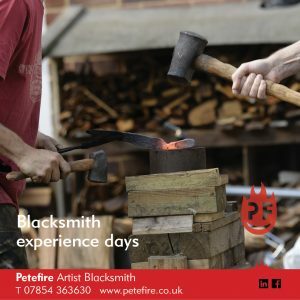 I do various blacksmith demonstrations. 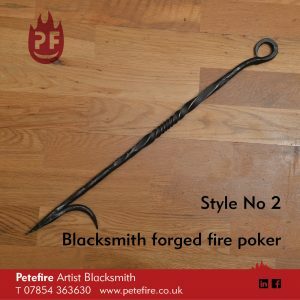 Many of the items that I forge are made from recycled materials.